Freebie alert! 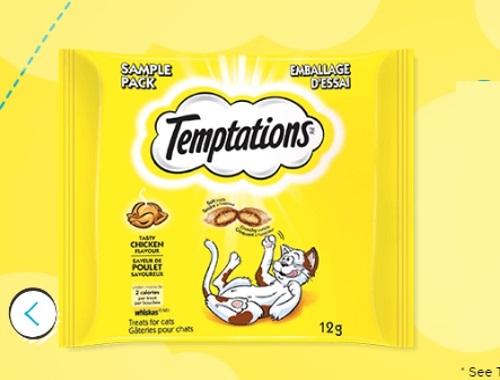 Get a Free Sample pack of irresistible Temptations cat treats! Please look out for it in the mail… if your cat doesn't get to it first. Sample includes a 12g Sample pack to the first 100,000 people to register to request a sample between March 13 - May 1 2017 or while supplies last. Limit of one request per household. Only valid for Canadian Residents. Please allow 6-8 weeks for delivery. If you want to get even more Free Samples & Coupons, complete the Shoppers Voice 2017 survey here.